MacOS are less catchy to cyber criminal than Windows devices, as it is difficult to exploit macOS. For a normal internet user macOS does not require to install any security software to operate it. But for a business user there could be chances of risk to security of your Mac, if you have not installed a good security protection in your device. For a user who have plenty of data stored in his device and to keep confidentiality of that data he need to install anti-virus in his Mac device. Bitdefender is an award winning software due to its amazing performance. It auto-update its security definition when required. It is fastest security suite and allows you to perform quick scan of your entire system. It automatically prevents and quarantine infected and suspicious files it detects. It offers complete solution from malwares with full suite of Mac security tools. 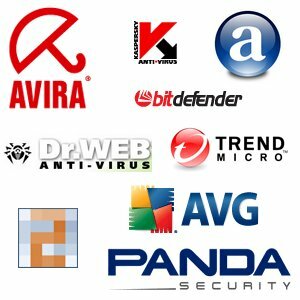 Another of the best antivirus for Mac options is Trend Micro. It catches most of the viruses and fight against malwares on your Mac, which includes ransomware protection as well. It has several features like safe browsing, parental control, social networking scanner, privacy scanning etc. It also has content filtering tools for your Mac device. It scans your system to detect any known malware and constantly informs you of the protection of your PC. The Mac Malwarebytes premium version is a complete solution to protect your PC from malwares and adwares. It performs a deep scan of your Mac device and check for any threat properly, thus gives real-time protection to your device. It is very light and has fastest clean-up feature, which safeguard your Mac device always. It doesn’t allow access to malwares, adwares and unwanted applications by blocking them before making any access. It has smart firewall, anti-spam feature, effective malware blocking feature which makes this antivirus best for your Mac device. Its rescue mode provides hassle free installation process. It has other additional security features like file shredder, system tune-up, remote management, spam-filter and parental control. My home network feature scans all the devices and secure them that connected to the same network. It is light, fast and less space consuming security software which is another best protection for your Mac device. It is cloud based software that stores its signature database in the cloud and gives you real time protection against malwares. It is easy to install and do not requires any special skill to install in your Mac device. All you have to do is to open webroot.com/safe & enter your keycode. Company offers 24*7, technical support to its customers to resolve their issues.